"What is going on here?" 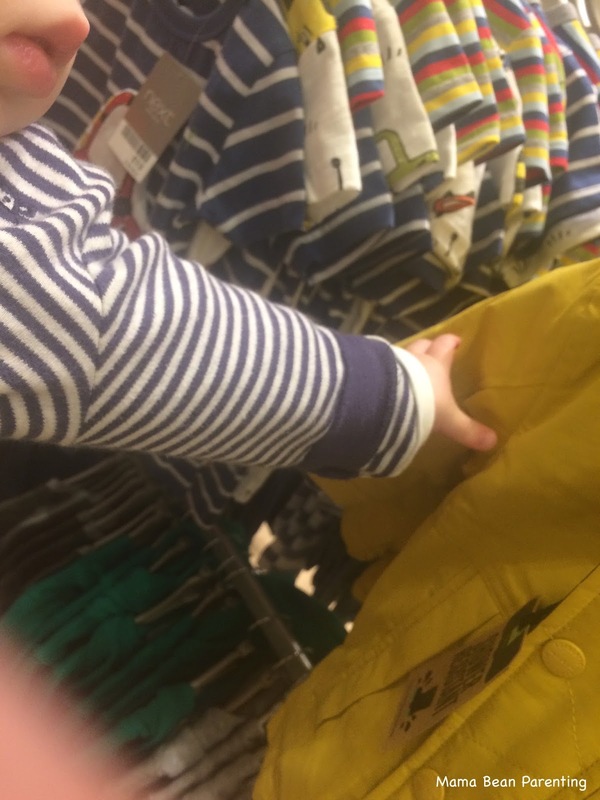 I hear you ask...well that's my baby boy, causing havoc in a local store courtesy of the 'Lean And Grab' - a babywearer's nemesis move that tyrant babies perform with ease. Clearly shops just aren't made for babies, or maybe babies aren't made for shops, but he essentially swiped an entire section of sweaters and adorable baby-sized coats with his tiny-yet-impressively-strong hands. I can still hear the crash of falling hangers amid his euphoric victory cheering. You might notice that I have him on my front. The more seasoned babywearers among us will tell me to put him on my back to prevent future Lean And Grab incidents, but let's face it...then he is OUT OF SIGHT...in addition to being a tiny gymnastics pro with the grip of a vice. And did I mention the bouncing? How a baby who cannot yet walk can literally bounce from inside of a carrier, essentially jumping off of nothing more than thin air and dreams, I will never know. I love babywearing, I really do. But everything has its downfalls and slinging is really no exception to the rule.